We are Gorton’s Ambassadors. All views expressed are that of our own. Cheese is my all time favorite food ever. 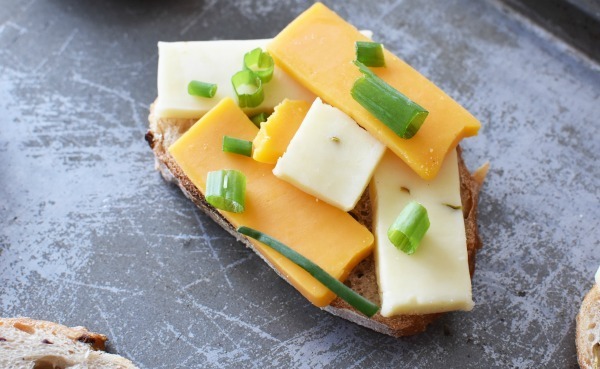 When they say cheese makes everything better, they were surely not kidding. I can not think of one meal where cheese couldn’t add some extra flavor and texture. 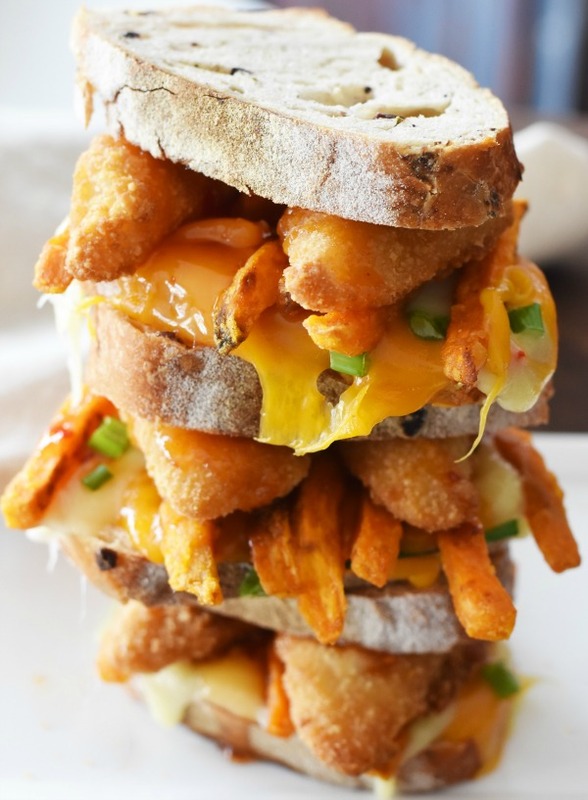 Ok, so maybe something like pancakes wouldn’t work, but a quick meal like these Chili Fish & French Fry Cheese Melts do! The slightly sweet and spicy flavor of the Gorton’s Go Saucy! Chili paired with the tender, flaky, and crunchy pollock is a match made in foodie heaven. 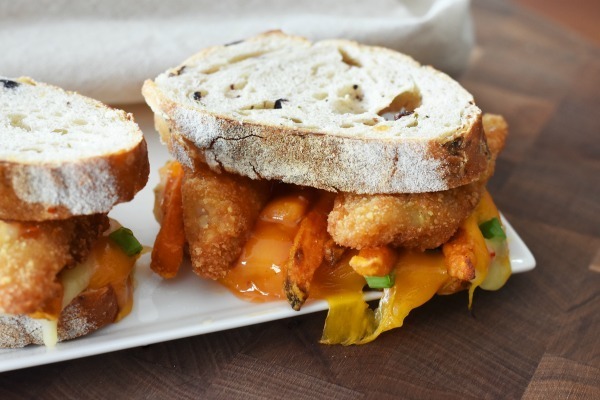 Toss in two melty cheeses, crispy french fries, and scallions for a tasty sandwich. 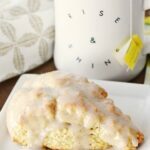 With our hectic moving date approaching quickly, spending time in my kitchen is not top of mind. I have been living on salads, sandwiches, and quick service meals. Peeling potatoes, and using my oven for longer meals is just not in my cards as of lately. Once I get settled in my new kitchen though-watch out! My cooking game will be back on! I am already dreaming of all the meals and I will be making- fresh apple pie anyone? 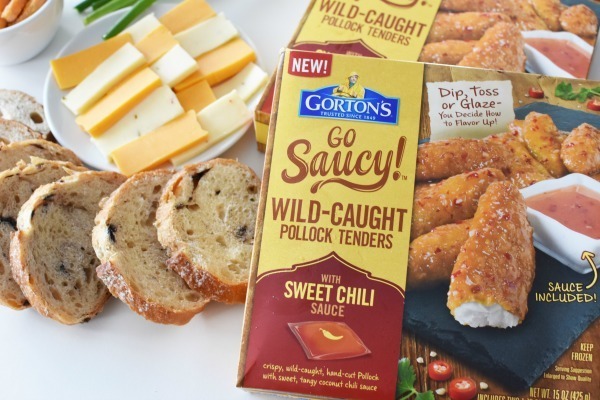 For now, quick meals are a must and brands like Gorton’s Seafood make this easy! Their vast selection of seafood products make preparing warm meals easy peasy! I love how I can purchase their Gorton’s Go Saucy! 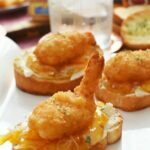 seafood products and use them in meals like Buffalo Shrimp Tacos, or these Chili Fish & French Fry Cheese Melts. The Gorton’s Go Saucy! line features 3 products – Wild-Caught Tail off Buffalo Shrimp, Wild-Caught Pollock Tenders with Honey Mustard Sauce, and Wild-Caught Pollock Tenders with Sweet Chili Sauce. 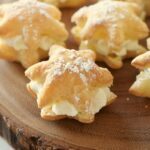 Each take less than 25 mins to prepare and are so good! Actually, this might just be one of my favorite seafood lines from Gorton’s! 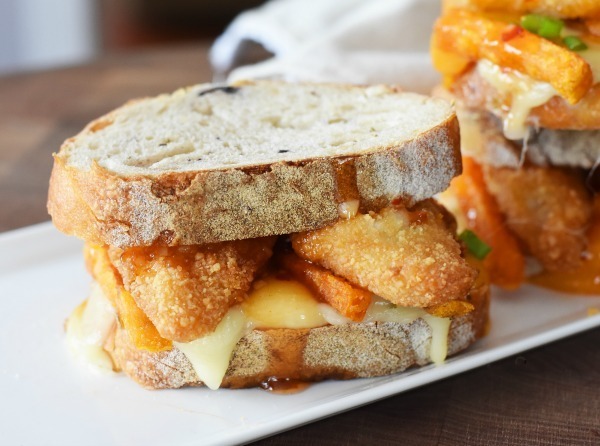 So how did I come up with these Chili Fish & French Fry Cheese Melts you wonder? Well, the answer is pretty simple- I used what I had on hand. Wanting to be creative, but also conscious of what I had in my fridge- I decided to make this beautiful concoction of a sandwich. 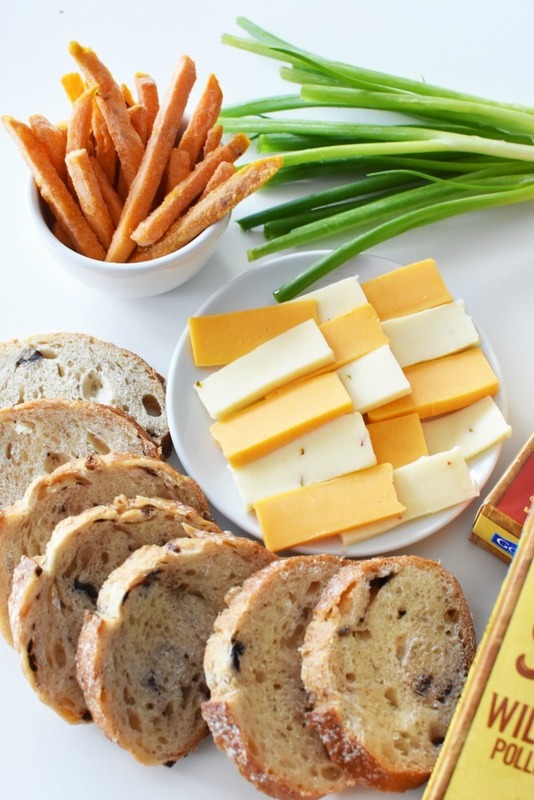 I had extra cheese on hand, scallions (I always use these), kalamata olive loaf, and sweet potato fries. 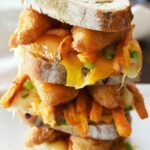 We are all about the sweet and savory in this house so why not add all these tasty foods into one easy to eat sandwich melt? Learn more about Gorton’s Go Saucy! Line today! 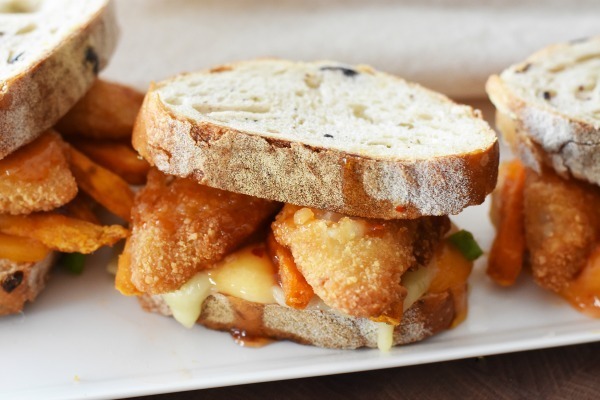 Get the printable recipe for these Chili Fish & French Fry Cheese Melts below! 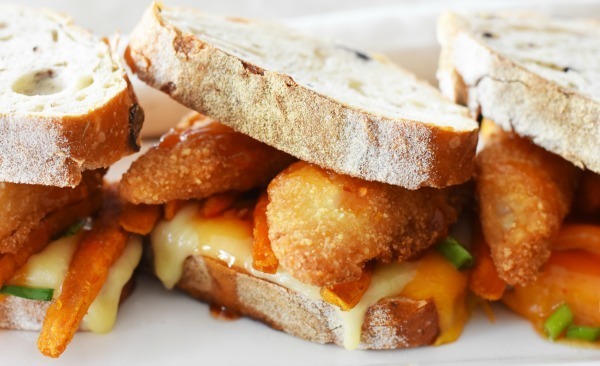 A warm, sweet and savory cheese melt sandwich that will play with your taste buds in only the tastiest way possible. Pre-Heat oven according the the instructions for the Gorton's Go Saucy product (425 degrees f.). 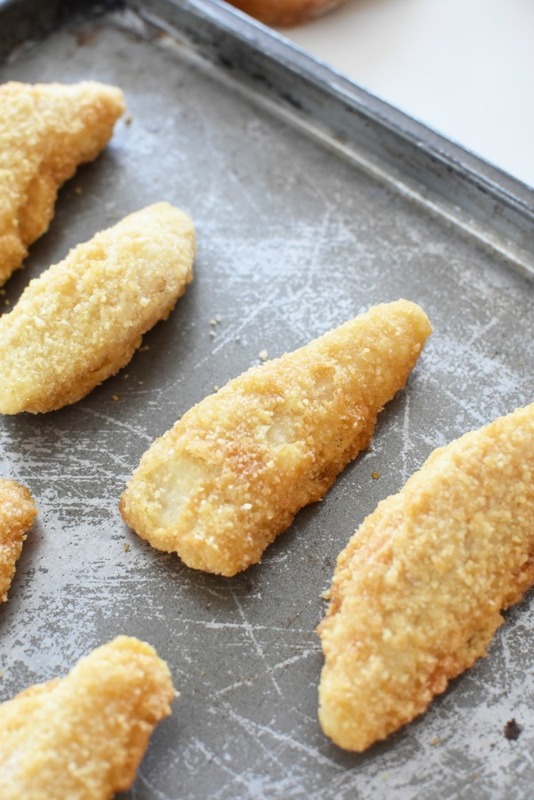 Arrange fish pieces on baking tray alongside french fries. Flip halfway through baking. Meanwhile, line 4 slices of bread with cheese slices. I formed a triangle with the slices to ensure all the bread was covered. Sprinkle each slice with green onion. Once fish and fries are done. 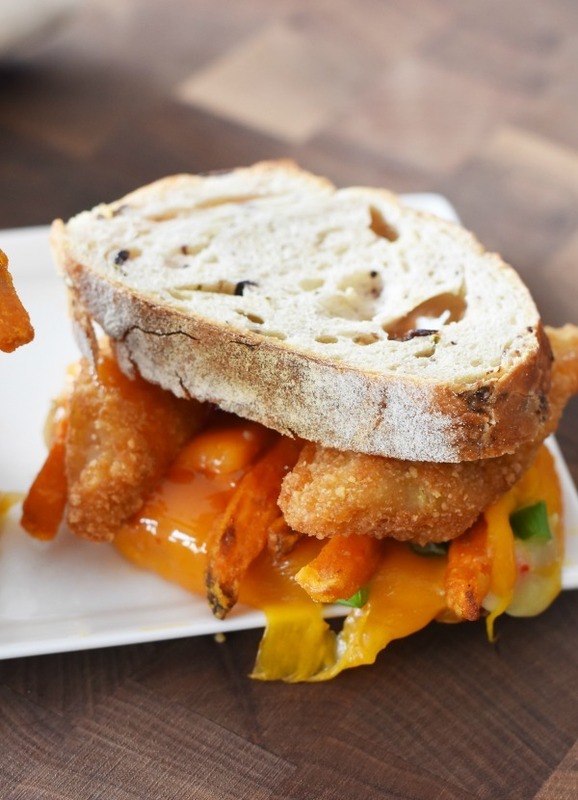 Turn off the oven, and line the sandwiches with the fries and fish. 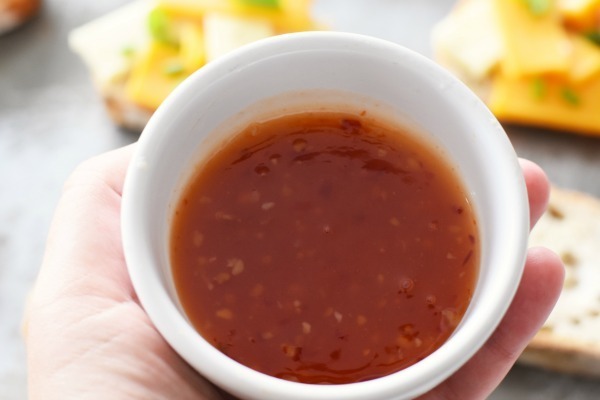 Drizzle the Sweet Chili Sauce (included with Gortons Go Saucy! products) over the fish pieces. Cover bread, and places sandwiches on the baking tray Bake using the residual oven heat for 3-5 mins or until cheese is bubbly and melty. Serve warm & enjoy! This is the most amazing sandwich I’ve ever seen! I mean, seriously, fries AND cheese on sandwich? Om nom nom nom. What a yummy looking sandwich. 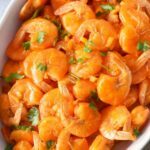 I need to pick up some Wild-Caught Tail off Buffalo Shrimp for lunch. This looks really tasty. 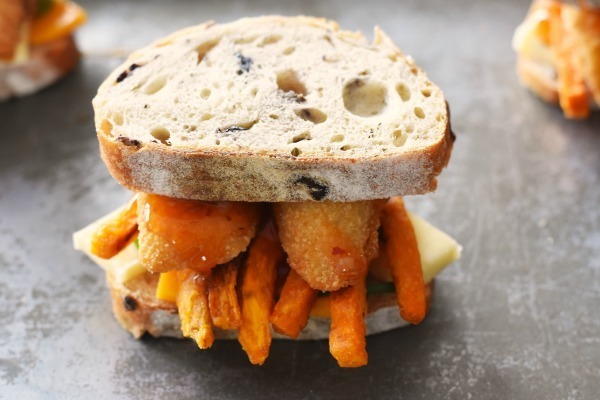 A good fish sandwich is hard to find but this fits the bill. Fish is such a healthy food and the chili and cheese must make it taste great. I have to try those Gorton’s saucy fish and I think the kids will love them. I’ve never heard of this brand before. However, wow, it looks delish! My mouth had to hang open for a few seconds on this one. Dang, it looks good! Can you come make dinner at our house?? lol This is creative and I’m in love. I want one NOW. These sandwiches look so amazing. And delicious. 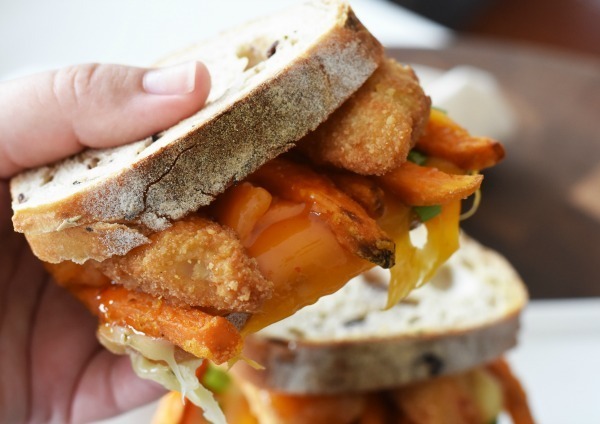 Now this is a seriously flavorful sandwich! The melted cheese must be so good with the fish! What a cool idea! This looks delicious! Would be perfect for our next movie night! 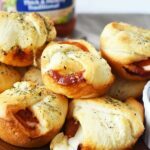 I love fun recipes like this! My husband would go crazy if he came home, and I had whipped this up. I am definitely going to surprise him with this for dinner. Yum! My husband is going to freak out over this one. Who doesn’t love chil fries? But you’ve made them even tastier and grown-up. This is a very interesting and unique recipe. I like all of the combinations of foods together to make such a creative meal!